I have been wanting some new holiday decor and with St. Patricks day coming up soon I thought I would get in the green spirit. I found these fun Banner cut pieces of would at a local shop, Wood connection for just $1.50 each. I bought 7, because I wanted it to spell LUCKY with an extra on each side. First I painted the wood with some green paint I had on hand. 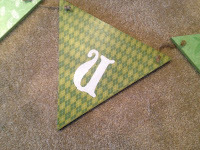 Then I cut our a piece of scrapbook paper to match the triangle shape. I then Modge Podged it to the triangle. I used a different pieces of scrapbook paper for each piece of wood but you could easily get 2 shapes on one pieces. Then I tied them together with some Jute I had on hand. 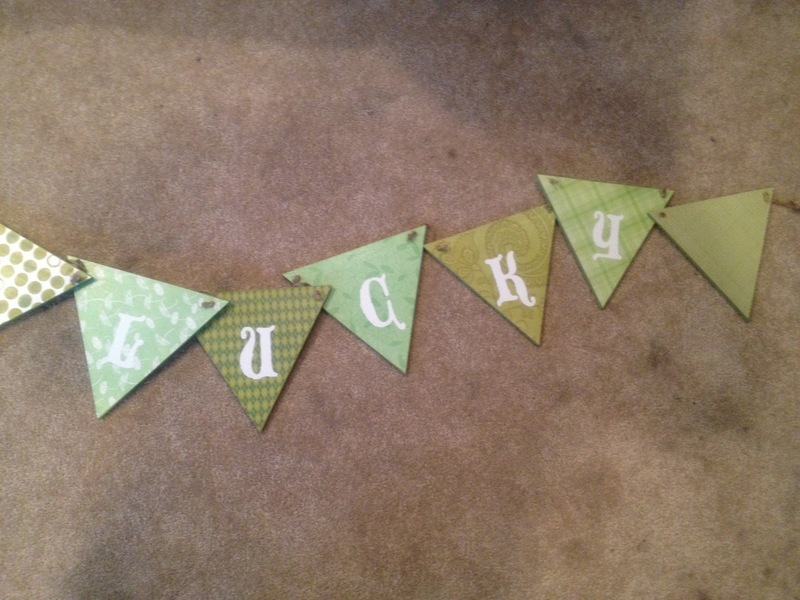 Finally, I cut out the vinyl lettering of the word LUCKY in white and put it on the banner. I think it turned out really cute and it is fun to have a little green around the house for St. Patty's day!